In December, we had a holiday open house and item donation drive where we had the opportunity to showcase Ninth & Everett's beautiful interior design work here at the mansion. 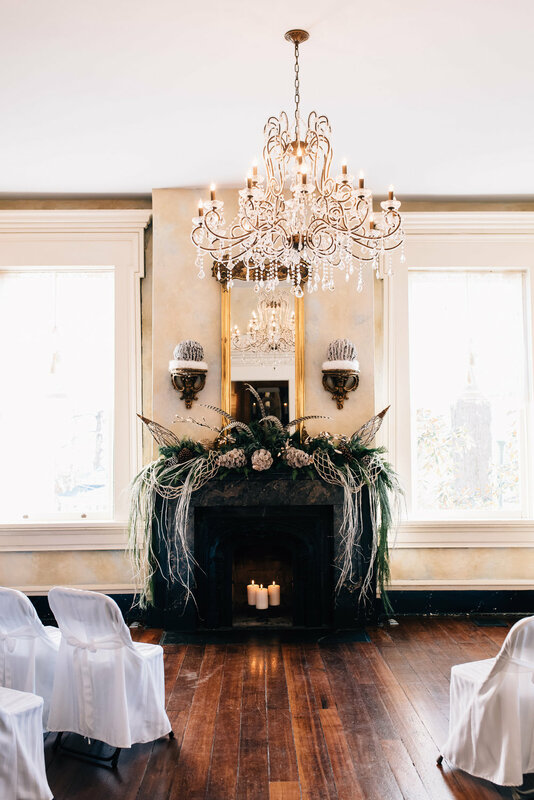 Ninth & Everett is a design firm which offers event planning, personal styling, and interior design services. Co-founders Josiah and Blake Loyarr are partners in life, but also in business and thrive creatively when collaborating on projects together. Josiah Loyarr has a background as a personal assistant to several celebrity clients; he has executed several large events throughout the country and has traveled the world, giving him the ability to creatively relate with all types of personalities, walks of life, and cultures. Blake Loyarr has a background in interior decorating and has worked closely with some of Portland's elite clientele while living on the west coast. Blake has an amazing eye for fashion and since relocating to Nashville, he has had the opportunity to style some of country music's biggest stars. Outside the fashion and interior decor world, Blake is a talented painter and loves incorporating texture into his pieces and allowing nature to inspire him. Ninth & Everett's style is inspired by nature and its clients. They love textures and finding new ways to bring nature into the home. "We value our relationships with our clients and channel their personalities into the space that we are designing."